MOSCOW, February 6. /TASS/. The deployment of Russia’s armaments on its soil should not be a cause for other countries’ alarm because Russia does not threaten anyone, Kremlin Spokesman Dmitry Peskov said on Tuesday. "I want to remind you that placing particular armaments and deploying specific military units on Russian territory are solely the sovereign issue of Russia," the Kremlin spokesman said, commenting on the deployment of Iskander tactical missile systems in the western Kaliningrad Region. 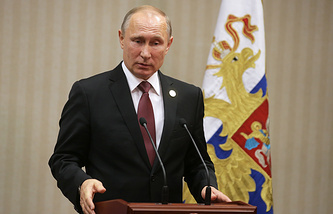 "Russia has never threatened and does not threaten anyone but Russia, naturally, has the sovereign right [to deploy armaments on its territory] and that is why this should hardly be a cause for someone’s concern," Peskov said. 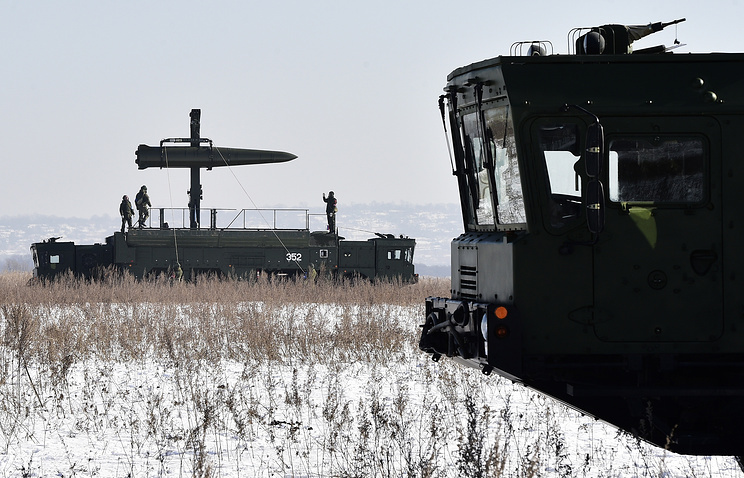 Head of the Defense Committee in the State Duma (the lower house of Russia’s parliament) Vladimir Shamanov earlier confirmed that Russia had deployed its Iskander tactical missile systems in the Kaliningrad Region. That is why, the Kremlin spokesman said that the journalists should turn to the State Duma for details. Lithuanian Defense Minister Raimundas Karoblis said on Monday that NATO should come up with a response to the deployment of Iskander missile systems in the Kaliningrad Region. "We would most likely find no violations of international commitments [by Russia deploying Iskander missile systems on its soil]," the defense minister admitted. Nevertheless, in his opinion, this should be regarded as "an additional fact that military potential is being beefed up in the Kaliningrad Region."